This versatile fabric notice board is the perfect place to display signs, artwork and information, and the unusual white board header allows you to write your own custom title or message, adding valuable context to the graphics pinned underneath. 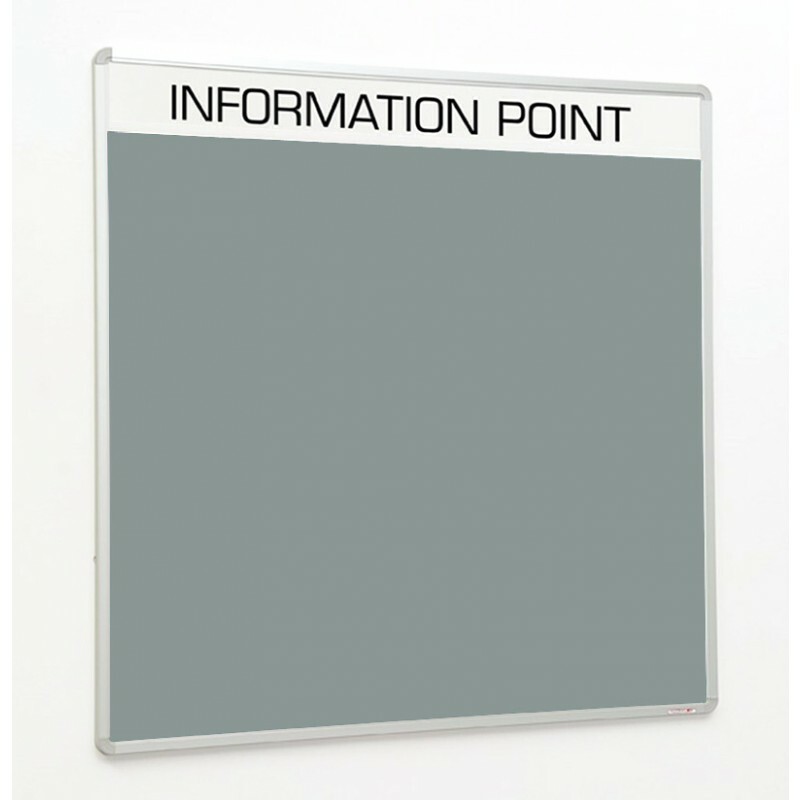 Smart and stylish, the notice board features a smooth silver anodised frame with rounded corners for safety, and is supplied with concealed fixings to securely hang it in a landscape orientation, with the header panel at the top. 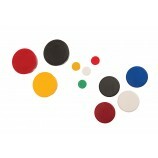 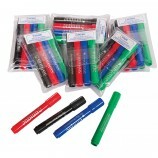 Available in a range of 6 sizes, the notice board features a 100mm deep drywipe header which stretches along the full width of the noticeboard, and below that the front of the board is covered in felt fabric in a choice of 4 bright and attractive colours. The quickest and easiest way to add, remove and update notices, the board is ideal for pinning up projects, posters, notes and important information, keeping it visible and easy to access for everyday use. 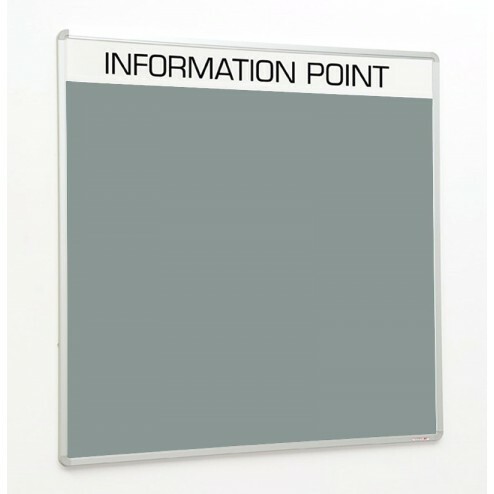 The unique whiteboard header allows you to easily label and comment on the posters pinned below – ideal for temporary projects, changing art displays and exhibition spaces. 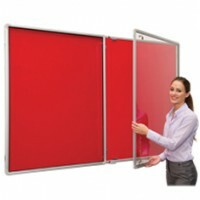 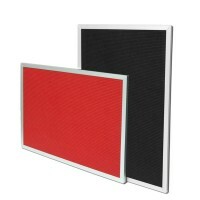 A unique and adaptable display solution for use in classrooms, meeting rooms, school corridors, office spaces, leisure centres, showrooms, staff rooms, information points, conference centres and public areas, the wall mounted fabric notice board with drywipe header panel is quick and easy to attach to the wall with all fixings concealed, creating a sleek and modern permanent display area.